In His lifelong Process of Revealing the "Bright", Avatar Adi Da Samraj has gone to the depths of the human condition. More than once in His adult life, He has passed through extreme Yogic Events that have restructured His human mechanism and allowed His Transmission to magnify. These events are part of the uniqueness of the Divine Avatar's Revelation, and they have profound significance for all human beings. 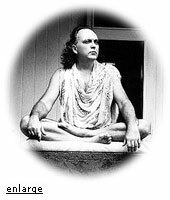 Adi Da, The Promised God-Man Is Here! The "Bright" and the "Thumbs"
We welcome your dialog with us about Avatar Adi Da Samraj and encourage you to write to us with your questions and comments. by attending any of the Adidam events near you. The Avataric Samrajya of Adidam. All rights reserved. Perpetual copyright claimed.